QAF files are often used in PLM Systems (like Siemens Teamcenter) to give a preview of the stored CAD dataset. Under the hood they are plain TIFF or BMP images which are just renamed. This means that you can edit them with any common image manipulation software like GIMP. If you want to have (for obvious reasons) a transparent background instead of the violet one, and it is not possible to change the default background color in the Teamcenter integration then you have to remove the background progamatically. The first question which has to be answered: What is the color of the background ? Well, In my test images the background was always violet. So the trivial approach was to find out the RGV values with a image manipulation software, but I decided to choose the top left pixel as reference. It would be be better to choose more than one pixel for background identification (something linke the mean RGB of all pixels at the border), but in my case this was sufficient. The given image has a (nearly) uniform violet background. So all we have to do, is to find all pixels which have the same color: Sounds great, donesn't work ! This is the reason for the violet surrounding is, that due some compression artifacts within the qaf file the viloet pixels are not equally violet. So we need another approach: Lets find all pixels which have nearly the same colour as the top left pixel. The problem is, that in the RGB color space similar colors are hard to identify. I tried to do this via threshold values, but the results where not convincing. The H (=hue) represents the color. E.g. All green colors have (compared to yellow) a similar H component. 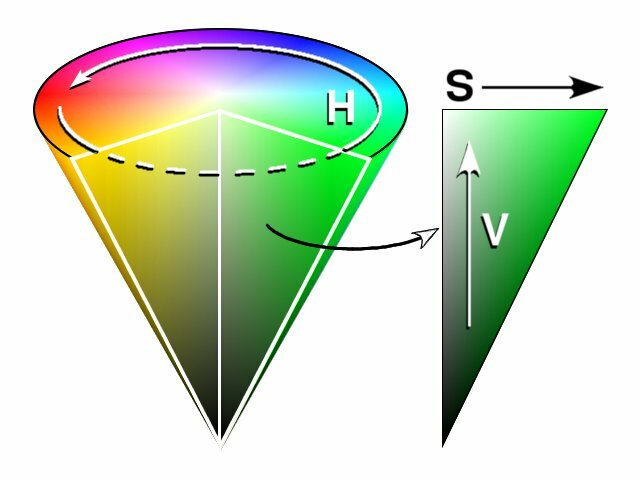 The S (=Saturation) and V (=Value) re representing the other aspects of this colorspace. * Returns true if the value is smaller than delta. This means that the maximum differences in hue can be up to 50% from the background color, in saturation 20% and in value 6%.